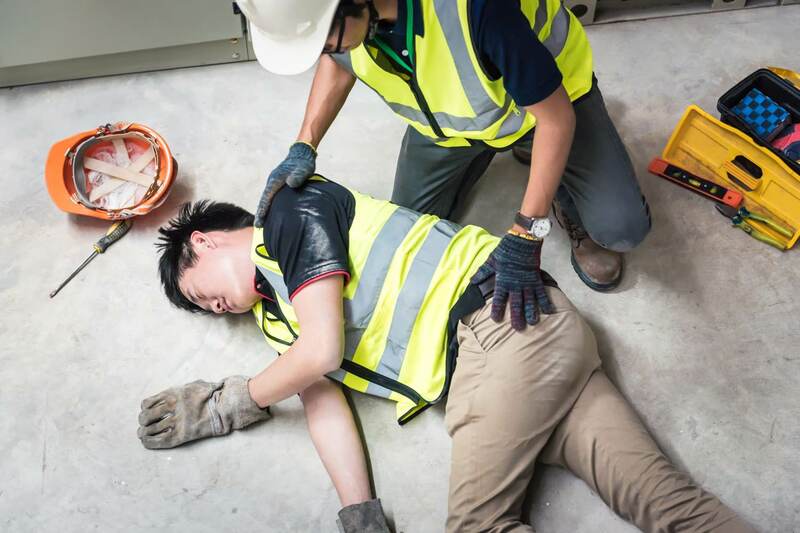 Workplace accidents happen despite our best precautions, and they often have life-changing ramifications for those involved. Your employer has a legal responsibility for ensuring the safety and welfare of their staff and anyone who has access to their premises. This is why businesses are required to have employers liability insurance and observe health and safety regulations – in the interests of protecting those in the workplace as well as themselves. In the event that you suffer an injury at your place of employment, you should always report the incident to your employer. Most businesses maintain an “accident book” for recording details of mishaps. You should also see a doctor even if the injury does not seem serious. This will form the basis of your evidential material later on if you decide to pursue compensation or claim benefits from your employer. There is a selection of official remedies available to the injured worker, the first of which is Statutory Sick Pay (SSP). Any eligible employee who is unable to work for four days or more in a row earns an average of at least £116 per week, and who has not breached any of the employer’s contractual rules or requirements is entitled to sick pay. Similarly, you are likely entitled to this if you are an agency, casual or part-time worker too, regardless of whether your current employment agreement stipulates you work on a fixed-term or even zero hours contract. The second is the “Industrial injuries disablement benefit” (IIDB). Here, you are entitled to industrial injuries disablement benefits if you become ill or disabled from an accident or disease at work, or on an approved employment training scheme or course. The amount you receive is dependent on your individual circumstances. If you feel that your employer was negligently culpable for your injury, then you may want to make an injury at work claim. Any claim must be made within three years of the accident. If you belong to a trade union, you may be able to use their legal services in order to seek restitution. If your injury was so severe that it has caused a long-term disability that SSP and IIDB will not adequately compensate for, you might consider engaging a catastrophic injury solicitor such as Romain Coleman to represent you in circumstances where you will require sustained medical treatment and are unable to carry out typical day-to-day tasks. As mentioned above, businesses are legally required to take on employee liability insurance to cover any personal injury claims against them. This means that an employer is not allowed to treat a claimant any differently for making an accident at work claim against them. It also means that the claimant can return to work after the accident, and must not be passed over for a promotion or treated differently as a result of making a claim. If you suspect that your employer is treating you differently, you may be in a position to take them to an employment tribunal. In short, the law is on your side if you decide to make a work accident claim. Once you’ve decided on filing an injury-at-work claim, you should enlist the services of a specialist injury claim lawyer to represent you. If the injury you sustained was particularly severe or debilitating, your lawyer should have experience dealing with catastrophic injury claims. This is because catastrophic injury claims are usually more complex and wider in scope and require a specific set of skills, experience and resources. Your solicitor should have an expectation of what to ask for with respect to compensation, and will advise you not to take a low offer from the insurance company. There is a tariff system for all injuries that happen in an accident, and the more serious the injury, the more compensation you will get as a result. Upon your instruction, your work accident claim solicitor will prepare the paperwork needed for your claim and gather the evidence they need to move things forward. This will include medical reports, expenses and possibly your medical records, depending on the severity of your injuries. For some very serious injuries, the solicitor can also recommend rehabilitation support, modifications to your home or car, and access to the help and support that you need. Once the employer’s insurance company has accepted liability for the accident, your solicitor will then negotiate the compensation sum, which is subject to your final approval. Once agreed upon, the payment should be paid in ten working days. A work injury claim is not malingering. As a working person you are entitled to a safe work environment. When you have been injured due to inadequate safeguards on the employer’s part, you deserve compensation to get you back on your feet. If you need help from an experienced workplace injury claim solicitor, speak to the Romain Coleman team on 0208 520 4555 or contact us via our Online Form.